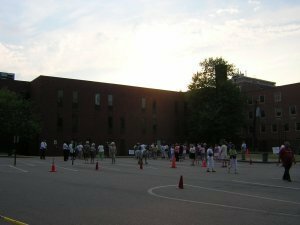 In Milton, Massachusetts, beginning in June 2003, an image of the Virgin Mary and Child was noticed in a window at Milton Hospital in Massachusetts, south of Boston. It has gained international publicity. This image in a window on the second floor is said to be actually caused by a window seal leak resulting in condensation inside the window. This page continues a discussion of this image begun on this page. And see this page for more photos. Below are some more photos taken in June 2003, of the Milton Hospital window, and the side of the building. A map of the Milton area (not drawn to scale). 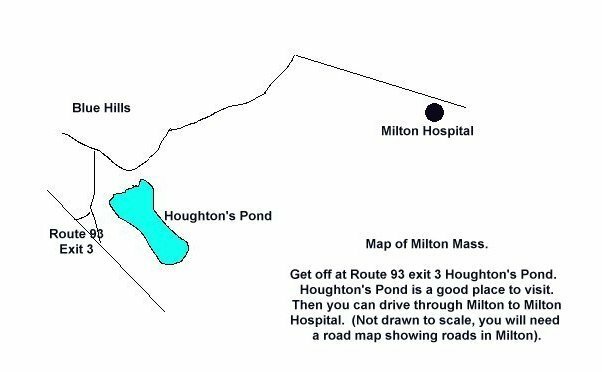 Get off Route 93 exit 3 (from Route 128) for Houghton's Pond in Milton. 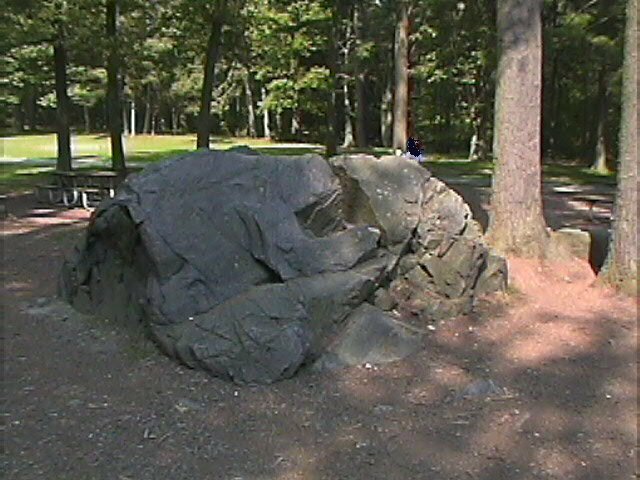 Stop at Houghton's Pond, go in the water if you wish, go hiking in the Blue Hills Reservation, and then drive to Milton Hospital through Milton. You will need a detailed road map to find your way through Milton.